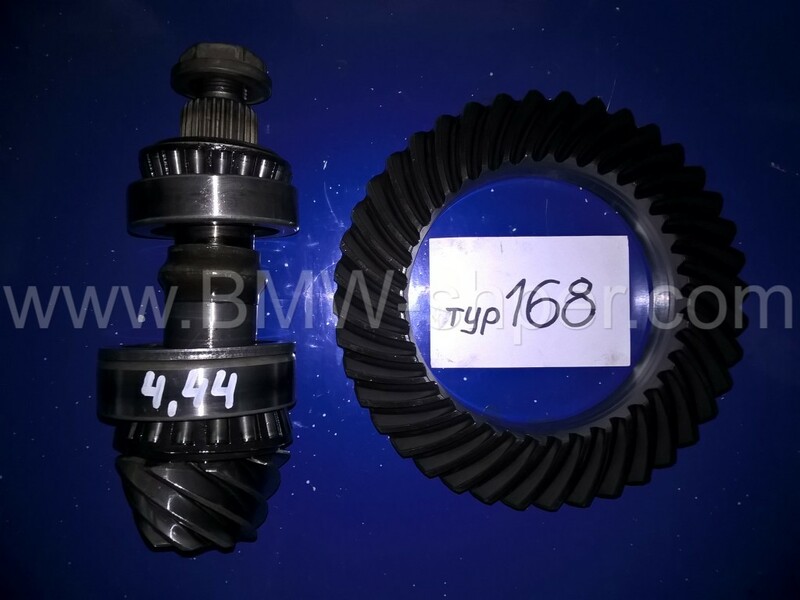 BMW 4.44 CWP ratio gear set. This is a used and in good condition matched ring and pinion gear set for a little case BMW differential typ168. It will fit all BMWs 3-rd series from 70s, 80s, 90s with little case differentials (168mm). This includes E21, E30, E36 and z3 models. Original BMW final drive. 4.44 ratio. Tooth count 40/9. Ring gear bolt size is M10. Included bearings and pinion shim to help with proper gear set up. Teeth are coated with liquid grease. Included bearings and pinion shim to help with proper gear set up. Teeth will be coated with liquid grease. The price is 150 €. For orders and clarifications, please contact us.